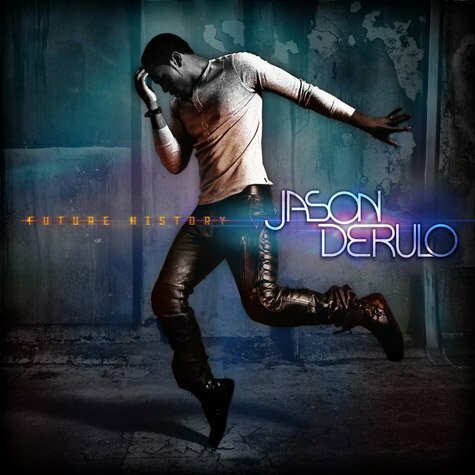 Jason Derulo has released the album cover for his sophomore effort. Future History is due out on Sept 27th and the first single Don’t Wanna Go Home, is already a bonafide hit. Channeling Michael Jackson on the album’s cover, the pop star is readying the second single, It Girl, set to drop on August 3rd. Admittedly, I’m a fan of Jason Derulo. He has a ton of talent and I was very impressed with his debut album. Don’t Wanna Go Home is currently tearing up the charts and deservedly so, it’s a great song. The only forseeable problem I see for Future History is its release date. On Sept 27th, Derulo will face competition from J. Cole’s debut Cole World: The Sideline Story as well as new releases from Jane’s Addiction and LeAnn Rimes. Where will your money go on Sept 27th?